DATE: Sunday, June 2nd 2019. 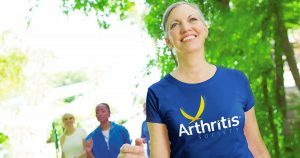 Volunteers such as you are an integral part of our Walk for Arthritis team. Your involvement makes a real difference and directly impacts the overall success of the event, which affects our ability to deliver programs and services which benefit 6 million Canadians living with arthritis. We offer a wide variety of exciting volunteer opportunities for you to choose from. Browse and click on any of the volunteer opportunities below for more descriptive information on the roles/responsibilities. If you are interested in any of the listed opportunities above, ensure you fill out the “Click to Volunteer” form.